With the withdrawal of ISAF forces from Afghanistan the regional powers in the area are expanding their influence in Afghanistan. Principal among these regional powers are Pakistan, India, China, and Iran. 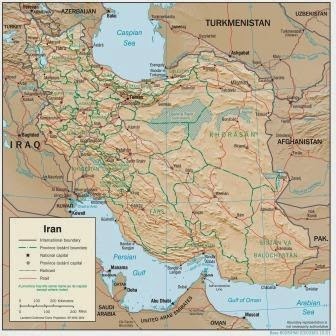 Iran has benefited immensely from the "Global War on Terror" or GWOT waged by the United States and its allies over the past decade and more. The Sunni regime in Iraq was toppled as well as the Sunni Taliban regime in Afghanistan. Iran has quietly inserted itself into the affairs of both countries. Iran's influence is sure to expand even further in Afghanistan over the coming years. Read more in "Elephant in the Jirga: Iran's interests in Afghanistan - Analysis", Eurasia Review, February 11, 2015.